The cause of the crash is currently unknown. The train was number 1614 on the Pascack Valley Line which departed from Spring Valley at 7:23am and was due to arrive in Hoboken at 8:38am. The Hoboken train station is a major commuting hub for New York City, providing service to PATH and New Jersey Transit. “The train simply did not stop,” a bystander told CBS New York. Update 10:03am: Passengers are no longer trapped. CNN later reported that the train’s conductor survived the crash and was speaking with investigators. Update 2:22pm: Gov. 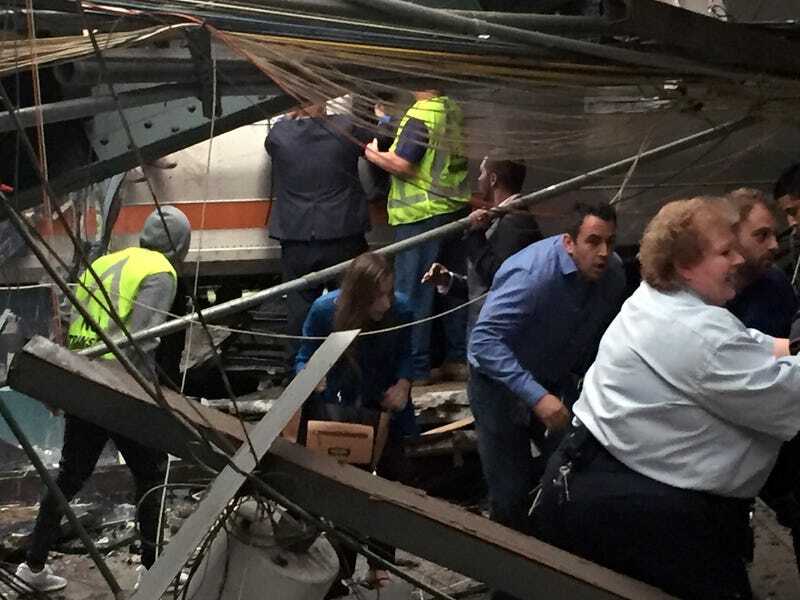 Chris Christie said the person killed in the crash was not on the train and the death was caused by falling debris at the station. After initially being suspended, PATH is now operating normally.